Is My Spouse Drinking Too Much? Ever ask yourself the question: “Is my spouse drinking too much?” They are drinking more than they have in a while. They stop at the bar on the way home from work for a few. You may notice alcohol on their breath every so often and you had no idea they were drinking. Or you catch them drinking, sneaking drinks or hiding alcohol around the house. Even when they go to work, you begin to suspect they are drinking on the job. Here, the questions begin to start about where wonder if your spouse was drinking too much. Are they missing out on social functions, work, or family events because of drinking, getting drunk, or recovering from drinking? Are they continuing to drink in spite of consequences to them, like losing their job? Do they still drink even though it is causing problems in your relationship, and others’ relationships with them? Will they still drink even though it is affecting their health? Are they drinking and putting themselves, and others, at risk, like drinking and driving or drinking while on the job? Have they made promise to you to quit drinking, and tried, but could not stay sober? Are they getting sick when they stop drinking completely? These questions should give you a good idea about the status of your spouse’s drinking. What you are seeing here is that alcohol has become more and more a part of your spouse’s life, and they are, in fact, in a relationship with alcohol now. That is their primary motivation if they are an active alcoholic, do whatever they can to get back to the one thing that matters to them now, drinking. You will likely be among the first to know your partner has a drinking problem, because you live with them and will know when they are not acting the way they normally do. You can expect there to be more fights and family tension. They will work to shift the blame to something else, trying to dodge responsibility and ownership of a drinking problem. It will be stress at work, or the kids, or it will be your nagging. These are all common arguments from partners who are alcoholics. To put it as simply as possible, trust your instincts here; when you feel something is wrong, you are probably right. You need to be ready with next steps, no matter what. When talking to a spouse that is an alcoholic, you must think ahead, because they are not able to think beyond their next drink. So, have a plan of action ready. Spend some time investigating treatment facilities in the area first and have one selected before talking to your spouse. Inpatient rehab gives the best odds of a healthy, long-term recovery. Having the earliest open spot is very helpful, because you will want to act as quickly as possible. If they are agreeable, then you need to move right then, to get them the help they need the erliest, but also so they do not have time to come with excuse why they cannot go into treatment. Inpatient treatment will take people on a regular basis, so if a bed is not available one day, get on the list for treatment, as one will open up quickly. This will be a hard conversation to have, not just because it means confronting their behavior, but also because it is about the health and safety of your spouse, as well as your family. Take time to think through what you want to say, even if you have to write it down, because this is important. Calling and talking with a treatment team can give you some assistance in what steps to take, and help you encourage your spouse to get the help they desperately need. Recovery happens every day, and you can be instrumental in getting your spouse the healthy and happy life that you both deserve. Contacting CHRC is the first step toward a healthier life, stronger self and can only be benificial in helping your spouse recover. Don’t hesitate to contact an addiction specialist for questions or to book an assessment for yourself or a loved one. You can visit our Inpatient (Residential) page for more information on our program and how it can really help through the process of recovery. Todd graduated with a diploma in Practical Nursing from Fleming College and obtained a postgraduate certificate in Mental Health Nursing. He is experienced in and passionate about supporting those living with addiction and mental health issues. Todd encourages clients to focus on being an active participant in their journey toward recovery. He is a life- long learner, always exploring new learning opportunities, including the holistic approaches to recovery used at CHRC. Shane chose to make positive life changes towards his recovery after going through his own experience with addiction. Shane decided to pursue a career in helping individuals struggling with addiction and mental health to find a better way of life. Shane graduated from Sir Sanford Fleming college in Peterborough with honours in the Mental Health and Addiction program with a diploma of Drug and Alcohol Counsellor. 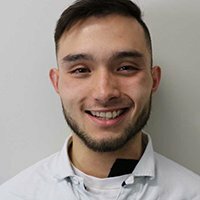 Understanding that addiction is the solution to underlining problems, Shane is pursuing to further his education in Trauma Informed Treatment. Shane chose CHRC for his placement for his schooling and was offered an opportunity to join the team. With working form a motivational interviewing perspective, Shane helps individuals through the process of change talk to gain empowerment over negative and self sabotaging thoughts. 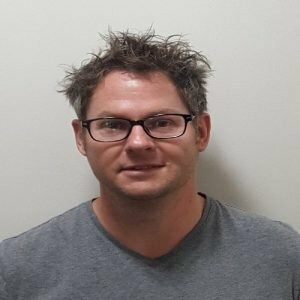 Shane believes in working collaboratively with clients to help clients gain autonomy and to help guide them into their journey of recovery. 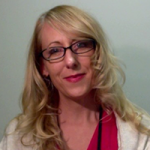 Melissa is a Registered Orthomolecular Health Practitioner and Therapeutic Chef. She graduated from the Institute of Holistic Nutrition (IHN) in Toronto. Following a successful 10-year career as executive chef, Melissa expanded her knowledge by obtaining her diploma in Applied Holistic Nutrition (Hons.). 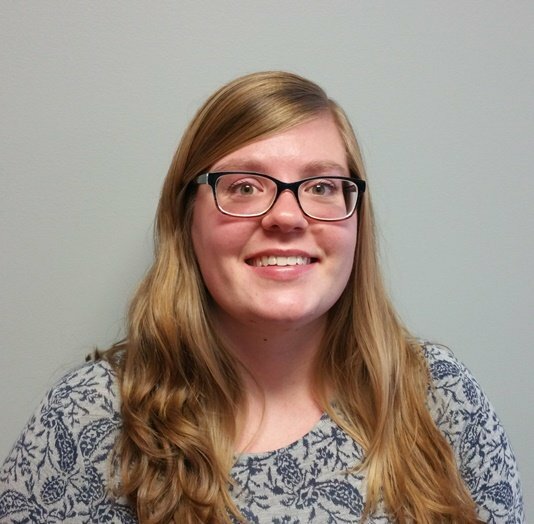 Melissa continues to expand her scope of practice in the field of nutrition by completing courses in Applied Endocrinology, Lab Diagnostics, and Liver Pathologies. Melissa obtained her ROHP designation in March 2018 from the International Organization of Nutritional Consultants. 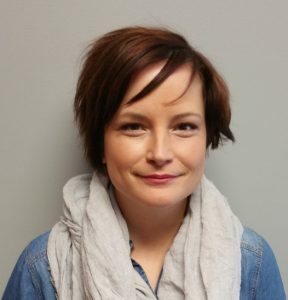 At Canadian Health Recovery Centre Melissa works to identify root causes of addiction, mental health disorders and nutritional deficiencies through comprehensive blood work analysis. Melissa believes that by approaching addiction recovery from a holistic perspective and by utilizing targeted nutritional supplementation and whole-foods, the body is returned to a state of well-being and recovery is longer lasting. Julie Kennedy joined our team as a full-time housekeeper where she maintains a clean and healthy environment for our guests during their stay. 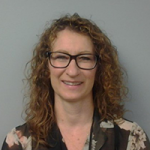 Julie brings to our team, not only her upbeat and out going positive attitude, but also two decades of experience and infection control training. In her spare time Julie likes to spend time with her family, her close friends and cue-up in order to sharpen up her pool shooting techniques. John D. is our full time Maintenance Technician. John has been a loyal member of our team since the beginning. John is multi talented and is always available for any emergency, big or small. John ensures that all the buildings and equipment are fully operational and safe. And he keeps the lawns and gardens in exceptionally beautiful condition. John is always readily available to chat with our client about anything. As a competitive youth soccer player, Kerri’s love of nutrition blossomed from working with team nutritionists and coaches. She learned the importance of proper nutrition for optimal health and excellence in sports. Going on to complete her undergraduate degree in Psychology from Mount Allison University, Kerri found her calling in the mental health and wellness field. Kerri completed her training at The Institute of Holistic Nutrition (IHN), graduating with First Class Honours. Following IHN, Kerri joined the Canadian Health Recovery Centre, where she specializes in food-based nutrition for alcohol and drug recovery. A skilled and compassionate family physician, committed to the delivery of evidence-based healthcare, valuing a team approach and in the context of the understanding of the patient as a whole person. Lifelong commitment to personal wellness and to supporting his patients in pursuit of the same. As a graduate of University of Toronto School of Medicine, MD and Loma Linda University Family Practice Residency, Dr Jacka has more than 25 years working in family medicine and has a particular interest in helping those with mental health issues. He also loves playing with his children and making music with the piano. As a well experienced therapist, Cathy specializes in working with complex trauma, often found to be at the root of addictions. In her role at CHRC, Cathy facilitates psycho-education and group counselling, individual therapy and ongoing support for all guests. In addition to her training as a psychotherapist, at Laurentian University, Queen’s University, York University, and the National Institute for the Clinical Application of Behavioural Medicine, Cathy has specialized her ongoing learning by focusing on complex trauma and how it plays a role in such areas as addiction, impulse control and emotion regulation. 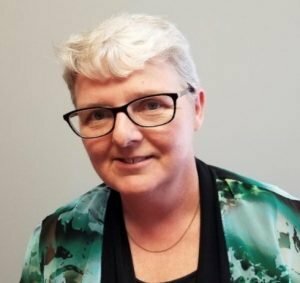 Cathy’s many years of experience include everything from providing basic support and guidance to crisis intervention, one-off walk-in counselling, and long term trauma therapy. Using both her life experience and a degree in Native Studies, Cathy has spent more than 10 years working specifically with the Indigenous population, helping clients find their way out from under the weight of intergenerational trauma. Cathy’s style is to meet the client where they are at, providing holistic, compassionate support grounded in respect. Taking the lead from the client, Cathy helps to bring understanding to driving forces that create challenges in everyday life, making change possible. Will holds a Bachelor of Arts (Honours) degree in Psychology from the University of Ottawa and a certificate in Pre-Health Science (with honours) from Georgian College in Barrie. He is completing his Masters degree in Human Services Counselling – Crisis Response and Trauma, with course work on complex trauma, grief and PTSD. 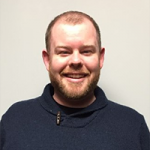 Will’s counselling style is Rogerian, in that he truly believes that an unconditionally warm and positive regard for each client is essential in forming the relationships necessary to promote change. Will is actively involved in the faith community within Peterborough. He has worked with a wide range of clients in a variety of settings including adult males who are justice-involved as a direct or indirect result of substance abuse. His experience includes working in clinical settings, half-way houses and community organizations, as well as front-line work with a police service, where he served his clients and community through active suicide interventions, crisis mediation, counselling and case work. Will’s professional and personal experience has allowed him to witness triumph and beauty in the face of adversity and pain. He sees this as his most notable asset and one that is commonplace at CHRC. Jodi’s role at CHRC includes facilitating psycho-education and group counselling, and providing ongoing support for our guests. Her counselling style is based on a foundation of respect, while promoting cognitive reframing and positive self-talk. Jodi’s life has been impacted by addictions and mental health, which provoked her interest in treatment and recovery. 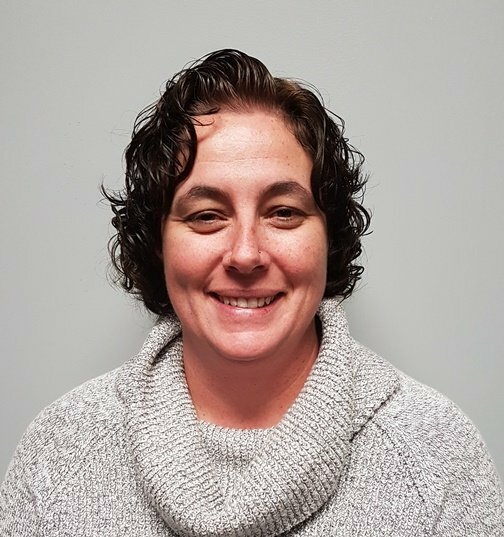 Jodi earned a Diploma from Fleming College in Drug and Alcohol Counselling after consolidating her learning with a four-month placement working at Durham Mental Health Crisis Services as a Crisis Worker, and at Melinda Hynes and Associates as an Addictions Counsellor. Wanting to learn more about the human mind and behaviour, Jodi studied Psychology at Trent University and earned an Honours Bachelor of Science. She focused her learning on the neuroscience of cognition, learning, memory and behaviour change. 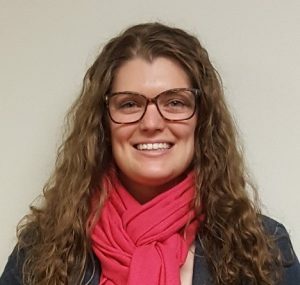 Jodi also studied addictions, concurrent disorders and mental health through the Addictions and Mental Health Counselling post-graduate program at Durham College. This learning was consolidated through Jodi’s four-month practicum at Pinewood Centre of Lakeridge Health, where she worked with clients and family members impacted by substance use and problem gambling. Jodi has always believed in the holistic approach to recovery, which is why she is excited to be part of the team at CHRC. She hopes to help reduce societal stigma surrounding addiction, and promote healthy recovery for all people impacted by addiction. Carly attended Trent University with the interest in becoming a teacher and realized that she wanted to help others but in a different role. Upon graduation from Trent University, Carly attended the Drug and Alcohol Counsellor program at Fleming College in Peterborough. For the last several years Carly has worked with the First Nations, Inuit and Metis population in treatment foster care. Carly believes that there is always a ‘why’ behind behavior and works to help people identify underlying issues and so they can begin the healing process and gain the tools to live a more healthy balanced life. Nick began his career as a Restauranteur and Chef right out of Culinary School. He acquired his training and Certification at Fleming College right here in Peterborough. He has since owned 2 successful Restaurants, a catering company and a private Chef Service. His passions quickly switched to using food as away to increase quality of life. His lifelong love of fitness and food has culminated in focusing on using food as medicine and helping to create a life full of positive energy and health. Now retired, Mike spent most of his working career as a sales representative for major corporations throughout Ontario. 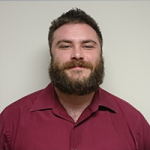 He holds a two year General Business Diploma, (Marketing) and a three year Business Administration Diploma, (Information Systems) from Sir Sandford Fleming College. Ten years of service in volunteer lay ministry left him questioning his faith. His own personal struggles with a process addiction led him to consider suicide. Counseling, spiritual coaching, an emphasis on restorative health and six years of twelve-step recovery were just what he needed to regain wholeness. It was Mike’s joy of working with the men from CHRC as they volunteered to serve meals to the less fortunate is what led the Centre to consider him for this part-time position. When asked what he liked best about the job he replied, “Interacting with the clientele, they are remarkable people”. 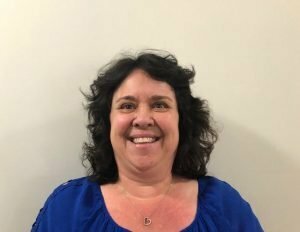 Diana joins our team as our receptionist and administrative assistant, Diana has worked in the customer service industry for most of her life. With15 years in a managerial position at a popular restaurant chain, Diana took time off to raise her two children, and developed a successful daycare business while raising her children. 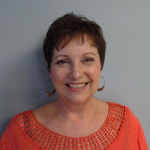 Diane continued her education with courses in bookkeeping and accounting and in 2011 she received a Bookkeeping Certificate with honours from Durham College. Andrew Jobes is a Registered Yoga Teacher who has taught almost 2,000 yoga classes and workshops since 2013. Andrew has completed 500-hour Hatha, 100-hour Vinyasa (Flow), and 15-hour Trauma-sensitive Yoga Teacher Trainings. He recently took an 18-hour Love Your Brain training to support students with acquired brain injuries. His 10 years with the Ministry of Natural Resources helped him understand the physical and mental stresses of the workplace and the benefits of learning healthy ways of coping. He leads weekly yoga and meditation sessions at CHRC and is pleased to help CHRC clients find balance in their minds and bodies. When not teaching at CHRC, Andrew teaches at Moksha Yoga Peterborough, and owns and operates Balance At Work, which specializes in workplace wellness services, yoga classes, workshops, and Reiki treatments. 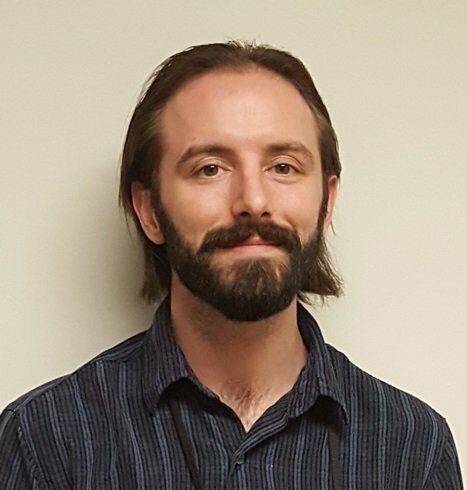 Andrew also coordinates and teaches yoga classes for the Robinson Place lunch-hour wellness program, and has provided educational presentations and has led workplace wellness workshops and yoga classes for several Peterborough employers. David is a Canadian Certified Addictions Counsellor. 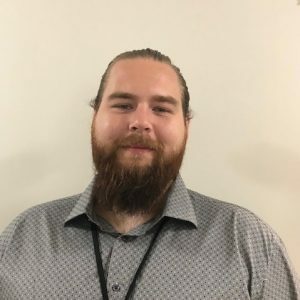 He completed the Drug and Alcohol Counselling program at Fleming College with honours, holds a certificate in Opiate Dependence Treatment from the University of Toronto, and is currently completing an honours degree in Sociology at University of Trent. David has spent his career working in residential treatment settings gaining experience working with complex mental health and addictions. 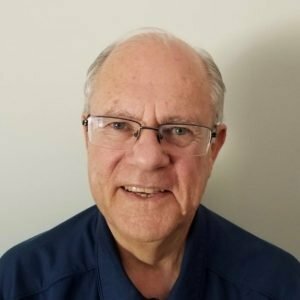 David approaches his work operating out of Dialectical Behavioral Therapy, Motivational Interviewing, Person Centered Therapy, and Solution Focused Therapy models. David genuinely believes in a holistic approach to recovery having personally and professionally experienced quality of life improvements through the bio/psycho/social/spiritual model. David believes that compassion, empathy, and accurate information are vital aspects of successful recovery and has a passion for working with people as they build self-efficacy. Tim’s life-long passion to create delicious and nutritious meals along with his experience and training in working in various restaurants preparing food for people of all ages has helped him in his pursuit of excellence in the culinary field. Tim continued to hone his skills in P.E.I. where he obtained his Red Seal chef status in 2015. Tim is an enthusiastic member of our culinary team and enjoys knowing he plays an important role in helping our guests in their recovery journey. Sheena began her education by pursuing her passion for helping others and exploring her fascination with psychology. She completed her Undergraduate Degree with Honours in Psychology at Trent University. 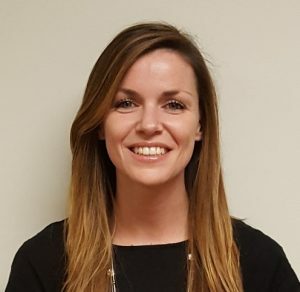 After having witnessed the devastating effects of addiction personally and professionally, Sheena attended the Drug and Alcohol Counsellor program at Sir Sandford Fleming College to acquire the practical skills needed to assist those struggling with addiction. Sheena took the opportunity to explore and deliver holistic approaches to treatment, which are grounded in neuroscience, with the Canadian Family Health Collective (CFHC). She acquired her certification at the CFHC as an Emotional Health Practitioner, which ignited her passion for delivering alternative, holistic, neuroscience-based treatment. Sheena also provides relief work for the Canadian Mental Health Association (CMHA). At Canadian Health Recovery Centre, Sheena provides individual and group counselling, using a variety of treatment modalities. She views addiction as a bio-psycho-socio-neuro-spiritual phenomenon and aims to help heal the mind, body, and spirit. Her counselling style is client-centred, empathetic, and educational. Sheena’s enthusiasm for life is contagious and as the Clinical Director she is committed to making people’s lives better by sharing truth, delivering hope and transforming the mind-set of those suffering with addiction. 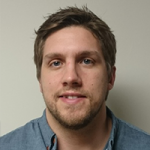 Nicholas has experience in a range of disciplines, from working with a team of health care professionals in rehabilitative work to sport performance at the provincial level. As a personal trainer and health promoter, he assesses and improves movement mechanics through designing a personalized plan of action while considering his clients’ objectives. Nicholas works to instill the principals needed to visualize and plan for healthy lifestyle and provide his clients with the specific tools required to improve their health. LeeAnn holds a Masters of Counselling degree from the Graduate Centre for Applied Psychology of Athabasca University in Alberta. She has over 25 years of experience in the counselling field, working as an addiction counsellor and a clinical supervisor. Since 1995, she has worked at Sir Sanford Fleming College in Peterborough as a professor in the Drug and Alcohol Counselling Program, developing, instructing and evaluating courses within the School of Law, Justice and Community Development. After many years specializing in the field of addictions, LeeAnn is convinced that CHRC will challenge traditional addiction treatment methods, and she can attest to the Centre’s whole-hearted practice of the biopsychosocial-spiritual approach to a degree she has never seen or heard of in any other treatment program. Patrick’s personal experience helping friends and family dealing with addictions cemented his desire to help others and evolved into a professional interest in the field of addictions and mental health. 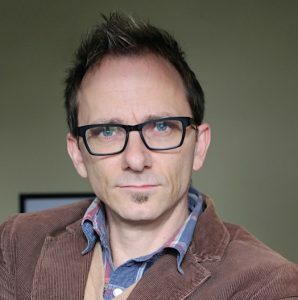 Patrick holds an Honours Bachelor of Science degree in Psychology from Trent University in Peterborough, where his studies included a focus on Cognitive Psychology, Health Psychology and Learning Psychology. He has lived in many parts of the world and has experience teaching adults and children, allowing him a unique perspective many people enjoy and relate to. Patrick focuses on building a rapport to develop a meaningful relationship with each client. Helen Kroeker was a registered nurse for 21 years before earning a Nurse Practitioner designation in 2005. She worked with addicted clients in her Emergency nursing career, but delved deep into the addiction medicine aspect while working in a residential addiction treatment centre as a Nurse Practitioner. Here, she began to understand the complexity of the clients she worked with, who included people with addictions of all kinds, methadone patients, people with eating disorders, and hepatitis C patients. Helen has a personal association with addiction, having lost a brother aged 49 to alcohol. She has a fascination with the benefits of eating the right foods and staying healthy for all types of addiction treatment including nicotine. Helen is TEACH (Training Enhancement in Applied Cessation Counselling and Health) trained and has assisted hundreds of patients to quit smoking. David Kittner, a.k.a. the Youth Fitness Guy, lives and works in Peterborough. 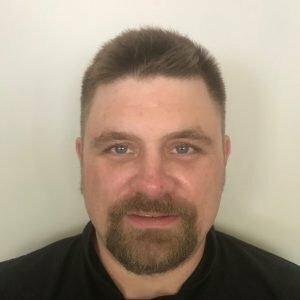 As a Certified Functional Strength Coach and Youth Fitness Specialist, he conducts training programs, workshops and clinics for athletes, sports teams, teachers and coaches. 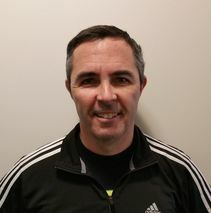 David also presents internationally at fitness, coaching and physical education conferences including The New York Rangers, USA Hockey, the Ontario Physical Literacy Summit and the Youth Fitness Summit. In addition to being the 2014 IYCA Coach of the Year, David is a contributing author of the international bestselling book The Definitive Guide to Youth Athletic Strength, Conditioning and Performance. Jude graduated with honours from Sir Sanford Fleming College in Peterborough. Since graduation he has been associated with the John Howard Society, working with at-risk youth and people dealing with addiction. Growing up surrounded by family and friends struggling with addiction, and losing family to addiction, Jude found himself walking the line of addiction. Life experience created a heightened awareness of the impact addiction has on one’s life and the lives of others, and this spurred him to make positive change. Jude has an empathetic if not a kindred connection to people facing addiction, PTSD and mental health challenges. Jude believes in the integration of holistic and evidence-based methods when it comes to healing and addiction. He is a warm, personable counsellor who takes a non-judgmental approach and values the importance of exploring the underlying contributors to addiction, not just the addiction itself. Jude is a strong advocate for healthy changes in life habits as the first step to implementing change. Consistency, mindfulness, visualization and positivity are Jude’s mantras. 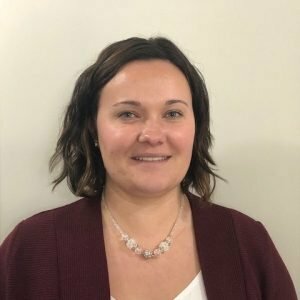 Corrina earned her Bachelor’s degree in Psychology from the University of Ottawa and her graduate certificate in Addictions and Mental Health through Durham College. She has a passion for working with others and a desire to help make a positive impact in people’s lives. Corrina’s personal experience with a family member living with addiction, as well as personal/family mental health struggles led her to take a specialized program in Addictions and Mental Health. 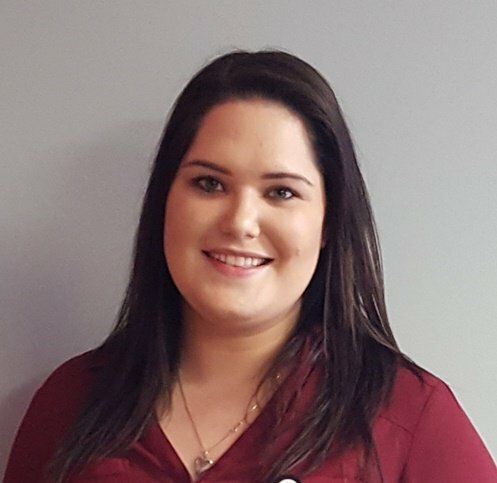 Corrina completed an internship at Bellwood Health Services in Toronto and began putting her academic skills into clinical practice and developing her counselling style. Corrina believes in a bio-psycho-social-spiritual approach to care and the importance of treating the individual holistically. Clients respond to her warm, empathetic, non-judgmental client-centred approach. Corrina believes that recovery involves living a life that is meaningful and works toward helping her clients discover the core values that have been lost through addiction. After his own personal encounter with addiction and the loss of someone close to him from an overdose, Justin made a conscious decision to change his life. Experiencing the pain that addiction inflicts on the people he cared about motivated him to pursue study in the field of addiction so that he could focus on helping people suffering with addiction. 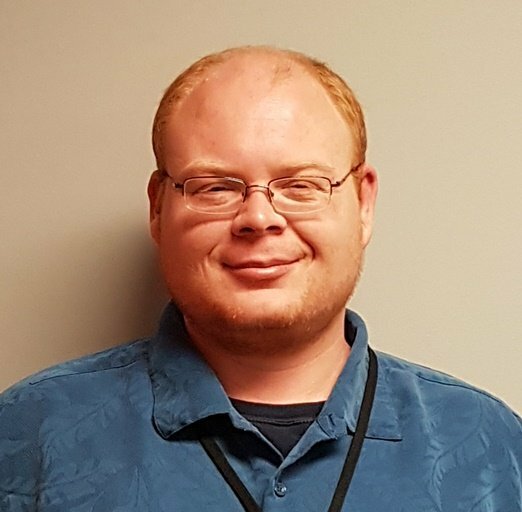 Justin completed the Mental Health and Addictions Worker program at Canadore College, enhancing his work experience with an internship at the Nipissing Detoxification and Substance Abuse Centre in North Bay, Ontario. 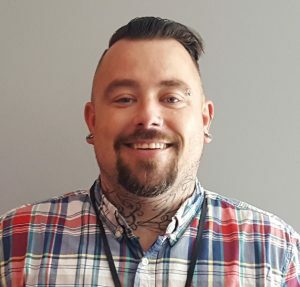 Justin has his Applied Suicide Intervention Skills Training certification, and worked as an Addiction Counsellor at a residential facility in eastern Ontario before joining the team at CHRC. Justin brings compassion and commitment in helping those afflicted with addiction and addiction-related problems. Peter Li Preti, M.A., M.Ed., Ph.D.
Peter Li Preti has over 30 years of professional experience as M.Ed., M.A., Ph.D. in conducting MVA assessments/evaluations and has provided treatment to individuals with various psychological disorders. Dr. Li Preti has worked in several clinical settings, school boards and private practices. He is a consultant in the areas of neuro/psychometric assessment, neuro/vocational evaluation, neuro-rehabilitation, psycho-vocational evaluation of brain injured patients and related evaluation and treatment of general injury populations. From the inception of the system, he has assisted in conducting such assessments for Medical/Rehabilitation, Disability, Catastrophic Impairment and Residual Earning Capacity DAC purposes. He has been clinically supervised by Dr. Fiore Mester, Dr. Romeo Vitelli and others and has developed an expertise in treatment planning. He has published a number of documents, professional articles and presentations on Concussion and Brain Injury. Peter Li Preti is an experienced therapist and rehabilitation counsellor with substance abuse and drug addiction. He was clinical director of several medical clinics in which patients were successfully weaned off medications such as OxyContin, dependency on street drugs and alcohol. He has contributed to related educational brochures and several rehabilitation assessment/outcome measures; he continues to be actively involved in research and educational/assessment product development with York University. Serving a multilingual population, Dr. Li Preti has experience in the administration and evaluation of English, French, Italian and Spanish psychological instruments/tests and has developed a Neuropsychological Questionnaire for foreign language/culture patients. He is a member in good standing of the National Academy of Neuropsychology, a member of the Ontario Psychological Association, a registered member of the Ontario Association of Consultants, Counsellors, Psychometrists and Psychotherapists (2584G), a member of the Vocational Rehabilitation Association of Canada and a Registered Rehabilitation Professional (4132). In addition, he is a registered psychotherapist with the College of Registered Psychotherapists of Ontario, registration number 1283. He is a member in good standing with the Canadian Society of Medical Evaluators and other professional associations in North America and Europe. Dr. Li Preti is also a Certified Vocational Rehabilitation Professional – Specialist (461) with a combined 20-years’ experience in conducting psycho-vocational assessments and vocational counselling therapy. He has contributed to the development of employment counselling techniques, transferable skills analysis, labour market research, return-to-work programs and work hardening, as well as developing expertise in these areas. 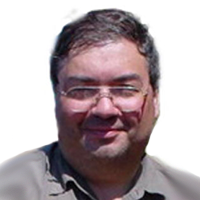 In addition to being a Certified Vocational Rehabilitation Specialist (CVRP ), he is a Registered Vocational Professional (RVP), a member in good standing of the Vocational Rehabilitation Association of Canada, and has served as Chair of the Ethics Committee. Peter Li Preti is recognized as an expert and a forensic court advisor in the field of Vocational Rehabilitation. George joined the CHRC team after a 25-year career in business. He graduated from York University in 1990 and steadily moved up in his field. It was his own 10-year battle with opioid addictions that made him realize a change was needed. 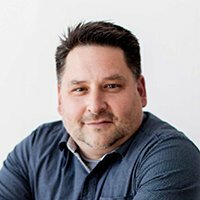 Like many people who suffer addictions, George continually asked the question, “Why me?” It wasn’t until he attended an open house for Fleming College’s Addictions and Mental Health program that he found a way to make sense of those 10 years, as well as a way to help others dealing with similar situations. George graduated from Fleming and received the award for outstanding achievement in academics and placement. Outside of work, George is most importantly a husband and a father to three daughters. He is humbled to be President and Chair of the Board for McLeod House Cheshire Homes Charities where he has worked with the directors to provide funding for organizations that support improving the lives of those in need. Wanting to help others has always come naturally to Judy and having a loved-one struggling with addiction peaked her interest in the addictions field. Judy attended the Drug and Alcohol Counselling program at Fleming College in Peterborough to acquire the practical skills and knowledge to assist those struggling with mental health and addiction. After completing her placement at CHRC, Judy was invited to join the team. She is passionate about helping others, believes in the holistic approach to recovery, and works with her clients toward healing the mind, body and spirit. 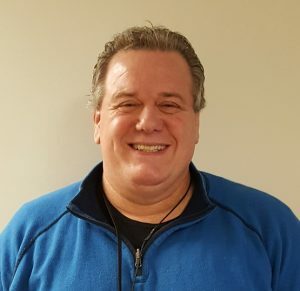 Darryl brings ten years of personal and professional experience with mental health and addiction treatment and life skills coaching to his counselling position at the Canadian Health Recovery Centre. Early life experiences led Darryl to work in his chosen field of addiction and mental health counselling. He was raised in Toronto by a single mother who worked multiple jobs, His father was a diagnosed paranoid schizophrenic, a drug addict and recognized as the neighbourhood homeless man. As a young teenager, Darryl would have to search the dangerous downtown homeless shelters when he wanted to see his father. With these early adversities, Darryl found himself immersed in street life at a young age. Drugs, gangs and trouble with the law became his lifestyle. After completing a treatment program nearly 15 years ago, Darryl turned his life in the right direction. He began visiting young people at local prisons, where he shared his personal stories in the hope of opening their eyes to the dangers of gang violence, and helped teach them how to become better versions of themselves. Darryl received honours in Counselling Skills and Addiction Studies from Centennial College and obtained certification as a Life Skills Coach through George Brown College. Most recently he received a diploma in Psychology from Alison University, and is certified in “The Addicted Brain” by Emory University. Darryl is also trained in HIV and Hepatitis awareness. His continuing education includes completing a Concurrent Disorders certificate at the Centre for Addiction and Mental Health (CAMH) via the University of Toronto. Darryl believes in leading by example. He lives his life with confidence and honesty, and takes personal responsibility in hopes of making a difference. His early experiences allow him to approach professional situations with an open mind and a non-judgmental perspective. Nick attended Carleton University in Ottawa and holds a degree in Criminology, with a background in psychology and addictions. Nick found his passion for working in the field of addictions and mental health after experiencing the personal pain of seeing family and friends suffer with substance abuse problems. 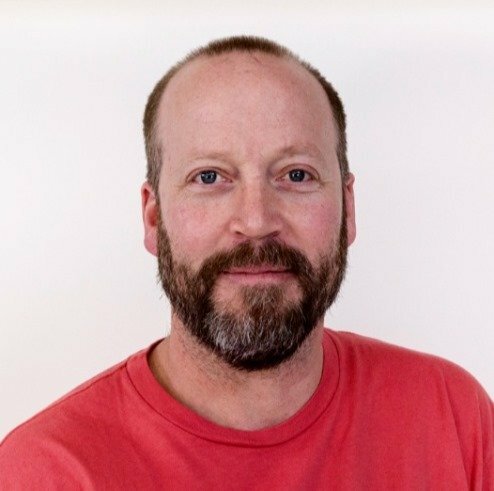 As a counsellor, Nick’s warm and natural approach is engaging and authentic as he works with individuals to promote improved health and wellness. Nick believes in the importance of reconnecting the body and the mind and is skilled in utilizing tools to help manage thoughts and emotions. Experience has convinced him that lasting recovery requires treating the mind, the body and the soul. 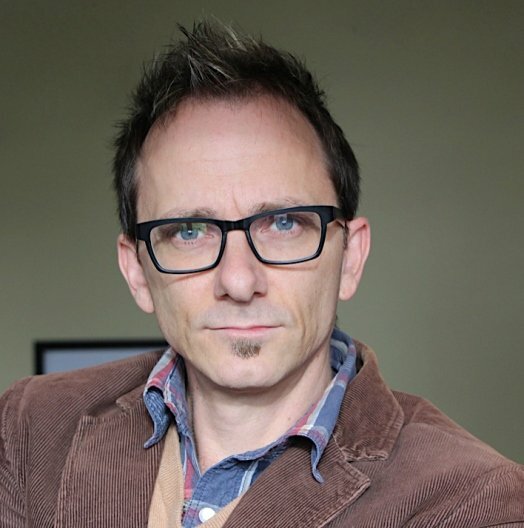 Nick is a compassionate counsellor who embraces the importance of empathy and understanding, and recognizes each person – and each person’s set of experiences – is unique. He looks forward to sharing his passion and knowledge with clients at CHRC to help them be the best version of themselves. Aaron earned his Bachelor of Theology degree 23 years ago and has spent the last two decades speaking, teaching, creating and pondering aspects of faith, both in religious communities and outside. Aaron’s passion for his work stems from observing the beautiful and sometimes ugly relationship between our humanity and our search for deeper meaning. Spirituality is a world of stories to not only discover but also be discovered by. At CHRC, Aaron facilitates a weekly group discussion around the themes of spirituality, designed to inspire and challenge clients to rediscover or consider this tool in their recovery. Aaron’s refreshing approach to the ideas of religion and meaning allows the participants a sense their story matters, whether they are religious, atheist or agnostic. Aaron is also available to meet with clients one-on-one to help work through individual roadblocks and create a forward-looking approach to spirituality. 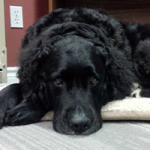 Moose, a Newfoundland-Golden Retriever cross, is a welcome addition to the CHRC team. He was certified as a therapy dog in 2012 and has worked with an array of clients ranging from military veterans struggling with PTSD to people struggling with addiction. Moose is a gentle soul, always ready and willing to listen and provide comfort. After receiving his Drug and Alcohol Counsellor diploma from Sir Sanford Fleming College in Peterborough, Jeff began his career at Bellwood Health Services as a Program Assistant and Addictions Counsellor. He also worked as the Primary Counsellor for the Iqaluit Addiction Treatment Program. Jeff is experienced in individual and group counselling, program development and implementation, crisis intervention, and aftercare and discharge planning. He is also a Certified Sexual Addiction Therapist. Jeff works at CHRC with his four-legged assistant, Moose, a certified therapy dog. An altruistic, positive person, Jeff is committed to continued growth and development in the field of addiction treatment. His goal is to help individuals with addictions learn how to create the better life he believes they deserve. Jane’s varied nursing career has spanned more than 40 years, with a special interest in the fields of mental health, neurology/neurosurgery and gerontology, where she had positions in teaching, consulting and management. Jane is an avid culinarian and holds a lifelong passion for nutrition and the principles of integrative medicine, seeing the benefits in her own and her family’s lives. As our Program Director, she has a keen desire to promote a truly holistic treatment model, so that our clients will be helped to experience physical, emotional and spiritual wellbeing. Nonie is a licensed Orthomolecular Nutritionist with a background of interdisciplinary university education in community development and non-profit management. After she witnessed a specialized diet and supplementation reverse her son’s serious mental health issues, under the tutelage of the late Dr. Abram Hoffer, Nonie became passionate about the link between diet and mental health. 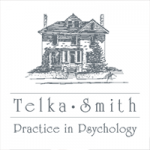 She operates a private clinic in Toronto, ON, where she has over a decade of experience holistically treating mental health, Autism and behavioural issues. In addition, she is a published health writer and an avid gardener and herbalist. Her clinical work incorporates nutrition education, dietary interventions and targeted supplementation, as well as food sensitivity testing and testing for nutrients and heavy metals. Nonie has a family history of addiction and is passionate about how orthomolecular nutrition can aid clients in achieving optimal health with complete freedom from addictive behaviour. 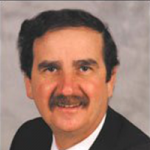 Romeo Vitelli, Ph.D., C. Psych. Romeo Vitelli received his doctorate in Psychology from York University in Toronto, Ontario in 1987. He spent 15 years as a staff psychologist in Millbrook Correctional Centre, a maximum-security prison run by the Ontario government. In 2003, he went into full-time private practice. Dr. Vitelli holds vast experience in individual and group psychotherapy dealing with Axis I and Axis II disorders, including treatment of a wide range of paraphilias; crisis intervention; posttraumatic stress; suicide issues; substance abuse; relaxation and stress management training; psychological and neuropsychological assessment. Dr. Vitelli is a disaster management volunteer with the Red Cross, an active blogger and a published author. The Everything Guide to Overcoming PTSD provides hope for recovery and includes in-depth information on traditional treatments including psychotherapy, drug therapy and cognitive behavioral theory, as well as new methods of support like mindfulness therapy and animal therapy. While PTSD is typically associated with war and veteran soldiers, recent studies have found this debilitating condition can be caused by a variety of traumatic events, from a neglectful childhood, medical emergency and natural disasters to car accidents or physical assaults. Dr. Vitelli provides supportive advice and treatment techniques to help you find the resilience you need to recover from traumatic events and start living a happier, healthier life.